Almost a mirror image of my office, a converted stable block made into a tea room…well, it does give me some ideas of my own, like changing my office to an English Tea Room...! 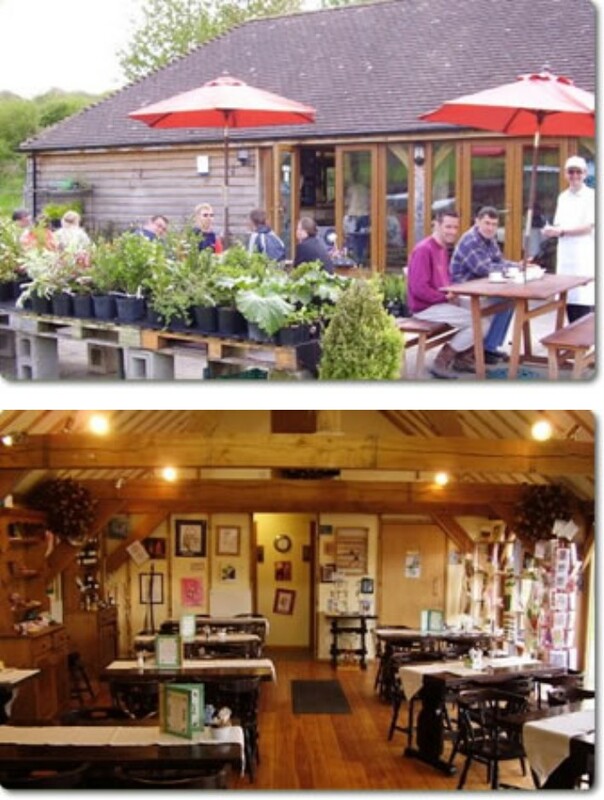 This lovely tea room sits beautifully inside the Elham Valley Vineyard. I have visited this tea room several times in the past but this is the first time that I have reviewed it. On previous occasions you had to queue at the counter and order before being seated hoping the table you set your heart on is still available. Well, I am happy to say that waitress service is now offered. What makes this tea room special and in particular, special to me, is that the majority of staff are, what is known as 'service users' (during the weekdays only). This means that they are adults with learning disabilities and special needs and are from the The Firth Trust (TFT). They have been given the opportunity, as individuals, to develop skills and build confidence. They are very nice people, friendly, welcoming and warm. It was indeed very nice to have been served by them and they are a credit to TFT. As someone myself who is on the autistic spectrum, I just loved being there. Sitting at the nice new wood tables and chair, eating my jacket potato with baked beans, salad and my pot of tea, looking at the tractor ploughing the fields and people going about their business on the vineyard was lovely. The ceiling stable beams, pine dressers and pine floors made for a lovely, warm and calm environment. I could have easily let a few hours slip by, drinking pots of tea, if I had the time! OK, I admit it, I do stay there for a long while on some occasions...! Gifts, (some made by the service users), cards, jams, lemon curd, jewellery and honey were also on sale. The menu consisted of; cooked meals, jacket potatoes, soup of the day, lasagne, sandwiches, baguettes, panninis, ploughman's alongside cream teas and cakes were offered. The drinks consisted of hot and cold drinks as well as English wine, beer and cider. Nobody could give anything other than a Highly Recommended status to this tea room. Genuine people who wanted to serve and delight you with excellent food. Tons of parking and one thing is for sure…I'll will always return to this English Tea Room. The owners to this tea room recently insisted that it becomes a Café. However, many people and regular visitors refuse to call it by that name. They still regard it as a proper English Tea Room. I have to agree with them entirely...!